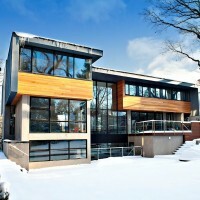 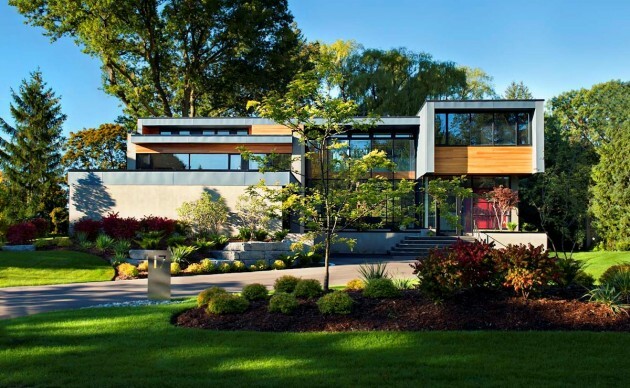 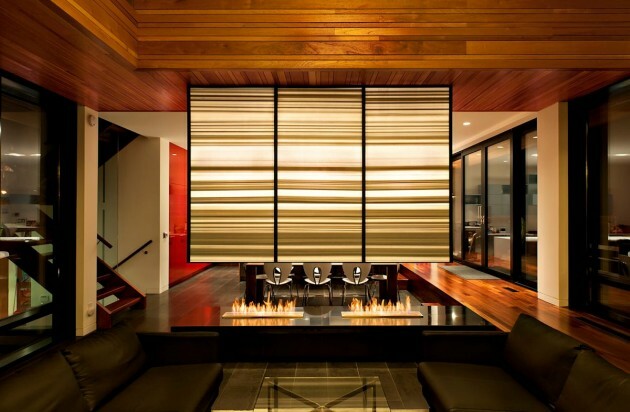 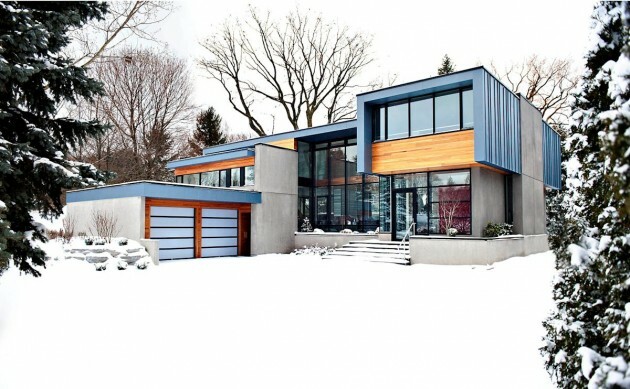 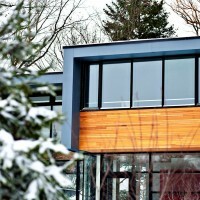 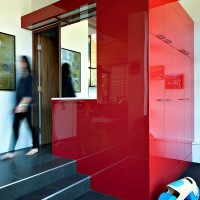 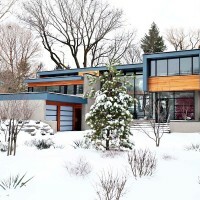 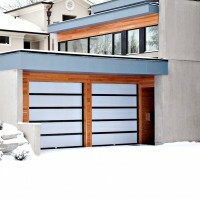 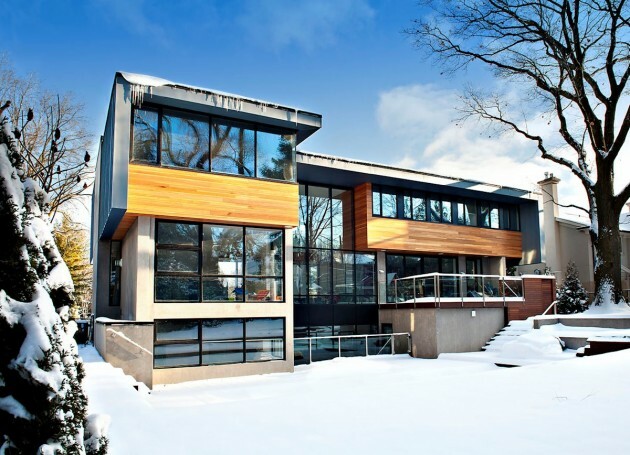 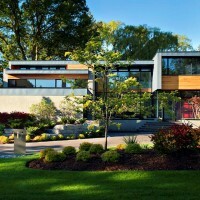 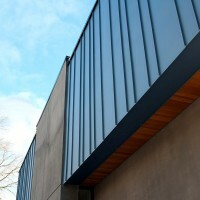 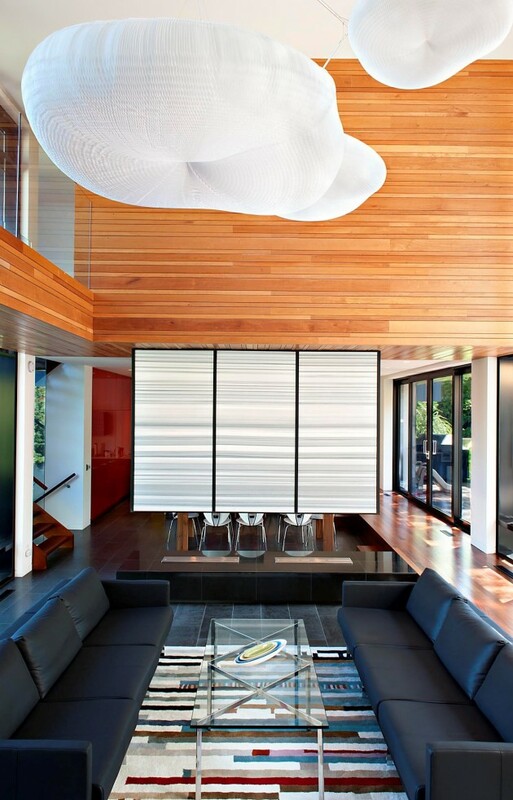 Altius Architecture have designed the Thorncrest House in Etobicoke, Ontario, Canada. 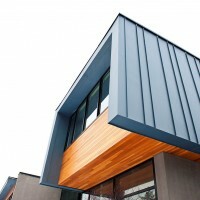 This new modern residence accommodates a family of 6 and their guests. 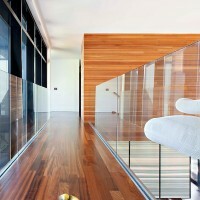 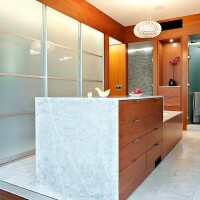 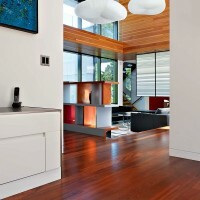 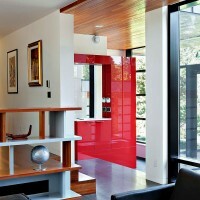 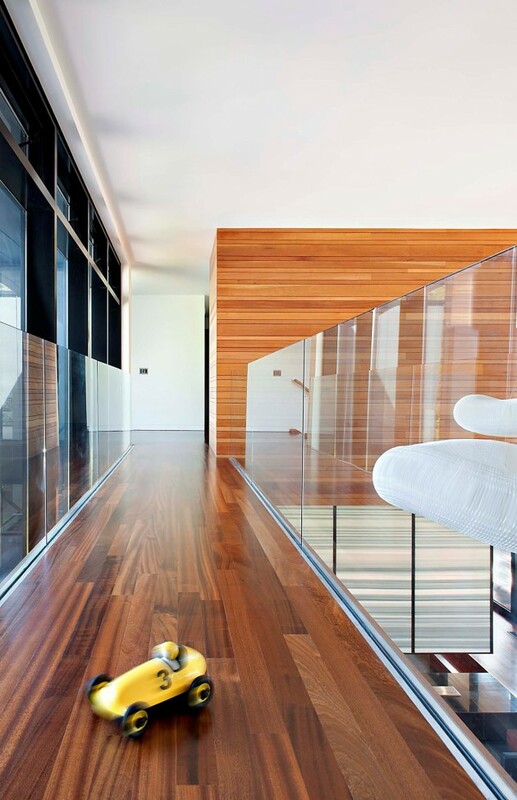 Private spaces are arranged to allow for an open concept space with double height living room surrounded by a catwalk. 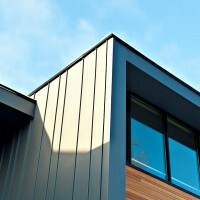 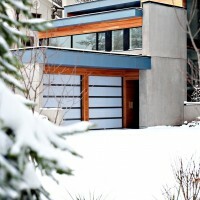 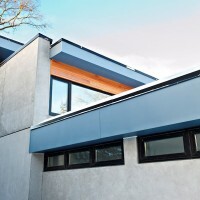 The homes distinctive blue zinc cladding and Spanish cedar accents create a unique street presence.